Now Hiring Local CDL A Drivers in the North Adams, MI area! Premier Transportation offering Company Drivers in Charlotte, NC $1,000 sign-on bonuses + $1,000 annual Longevity Bonuses + Inspection, Safety, Wellness & Referral bonuses! Now Hiring in the Charlotte, NC area! NEW PAY PACKAGE NOW HIRING CLASS A CDL DRIVERS in the Zion, IL $0.60 / per mile pay package plus $1,000 SIGN ON BONUS! $1.30 per mile - Lease Purchase "Be Your Own Boss Day 1" - Owner Operators - in the Monroe, NC area! Premier Transportation offering Company Drivers $1,000 sign-on bonuses + $1,000 annual Longevity Bonuses + Inspection, Safety, Wellness & Referral bonuses! Now Hiring in the Rockvale, TN area! Now Hiring Local CDL A Drivers in the Hinsdale, IL area! Now Hiring Local CDL A Drivers in the Worthington, MA area! Premier Transportation offering Company Drivers $1,000 sign-on bonuses + $1,000 annual Longevity Bonuses + Inspection, Safety, Wellness & Referral bonuses! Now Hiring in the Lakewood, WA area! Premier Transportation offering Company Drivers $1,000 sign-on bonuses + $1,000 annual Longevity Bonuses + Inspection, Safety, Wellness & Referral bonuses! Now Hiring in the Yakima, WA area! Premier Transportation offering Company Drivers $1,000 sign-on bonuses + $1,000 annual Longevity Bonuses + Inspection, Safety, Wellness & Referral bonuses! Now Hiring in the Yarrow Point, WA area! 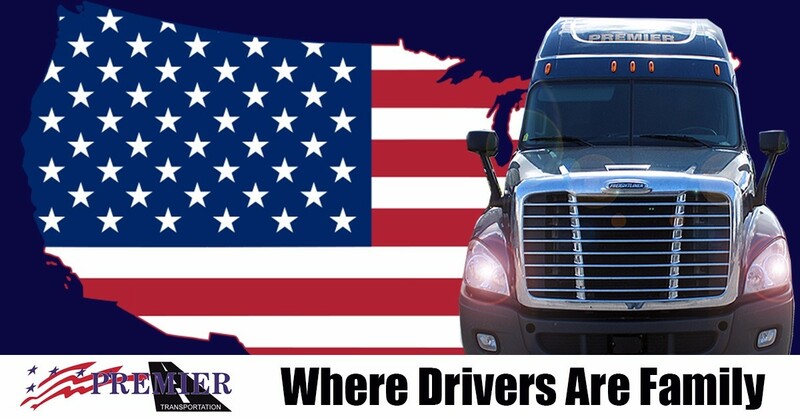 Premier Transportation considers our drivers to be our most important asset. We recognize the value of a quality driver and understand that our drivers represent our company both over the road and with the customer. We pride ourselves in hiring only the best drivers in the industry. Premier has worked very hard over the years to insure that all drivers are treated courteously and in a professional manner. At Premier Transportation Family isn't just a Priority, it's our culture!